I love cats. Wild cats. House cats. 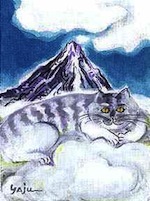 Cartoon cats. Any kind of cats. I'm your run-of-the-mill cat fanatic. Anything I post here will have something to do with cats. Sprinkled among the posts you will find some cool (I think) cat-themed items that might just look nifty among your cat collectibles. 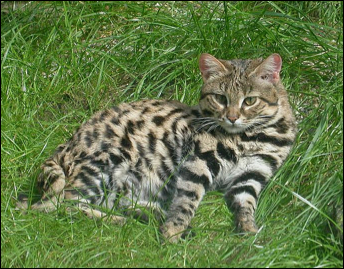 You may not be familiar with the endangered African Black-foot cat. 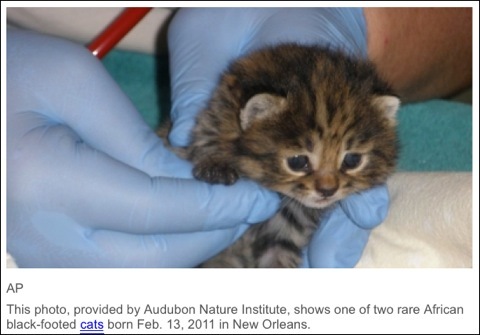 I wasn't until I read about two kittens who were born as the result of an 8 year long, experimental, in-vitro process. You can read the full story here. The second picture is a full-grown Black-foot, which looks very much like a domestic shorthair, at least as far as the head and face go.